He's really ugly as sin, but one of my favorite comics. I saw one of his stand-up routines on BBC a while back and although he never spoke during the entire show, it was hilarious. He's actually Jewish, I believe. His pigmentation, height, and gracile body build are rather in the Mediterranean range, but his face is too short for it, his nose is too broad and dominant, and he seems to be brachycephalic. His calvarium, too, is disproportionally large (I noticed it yesterday on a TV show, it's not as obvious on these photos), but that is probably rather an individual deviation (he strikes me as highly intelligent) than a racial trait. I remember being curious about this question a while ago so I picked up one of his biographies to see if he was jewish or not. He actually went quite into detail about his unusual appearance and how he differed from every other English boy growing up. He mentioned how he looked nothing at all like his siblings or his parents who looked quite average British, and that he somehow ended up with this unusual appearance. I would guess that certain genes lay dormant and perhaps appear at a later age. The great industrial belt that stretches from the west Midlands of England up to Glasgow has had a complete reamergence of this dark characteristic with a concentration of the working class. The population of Great Britain would have been much fairer before the advent of the Industrial Revolution. Even today it is observed that higher status usually cooresponds to more Nordic phenotype in both class society and military rank. 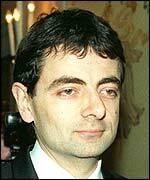 There was no mention of any Jewish heritage in Rowan Atkinson's biography so that can be put to rest. He might represent a perfect fossilization of the early pre-celtic mediterranean invaders whose genes are still in limbo. He is a Paleo-Atlantid as was fellow Brit Dudley Moore. The great industrial belt that stretches from the west Midlands of England up to Glasgow has had a complete reamergence of this dark characteristic with a concentration of the working class. The population of Great Britain would have been much fairer before the advent of the Industrial Revolution. Thanks for your highly interesting input. What would have caused this re-emergence of dark characteristics? And why would the population have been fairer before the Industrial Revolution? He is a Paleo-Atlantid as was fellow Brit Dudley Moore. I like the flattering nature of the term 'Paleo-Atlantid'. Barring terminology, my thoughts are swaying into the same direction. 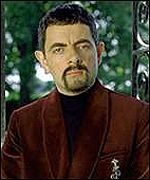 Rowan Atkinson is a staunch Anglican and an active member of the Church laity. Dudley Moore was a jew,hence his barmitzvah like peter sellers he was not orthodox but unlike the likes of jeremy paxman did not deny it. Rowan is a "Bell Beaker", dudley a yid. I would say somewhere between atlanto-med and dinaric. Why P.A. over Atlanto-med? Is there anything even vaguely nordic...or 'nordish', about this guy at all? Where did you get this information from? I could find nothing on the internet to suggest he was jewish. Peter Sellers was half jewish but I don't think Dudley Moore was at all. Since he just died, there must be an accredited biography out there somewhere. That is the most accurate way to get to the bottom of things.